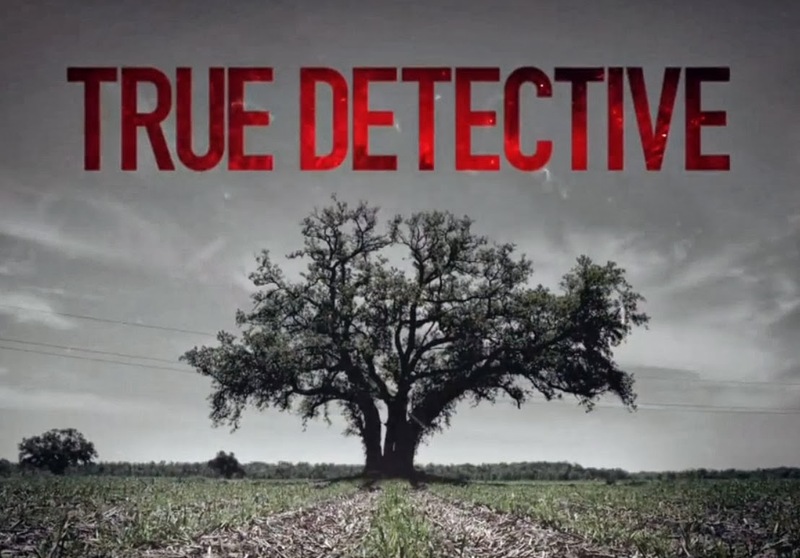 A ‘True Detective’ Travel Guide: Where to Next? We’re three episodes into HBO’s True Detective. Alas, there was no episode this past week (thanks Super Bowl) but it has still been very much on my mind. Yes, despite treading on the well-worn ground of serial killer mayhem, I’m hooked on the central mysteries of the debut season. I have no idea where the show is going. But, fortunately, I do know that there are only five episodes left. While miniseries and anthologies are not completely new to the TV landscape, True Detective is capitalizing on the form’s ability to allow for concise, complete stories that can also attract top flight talent usually wary of TV’s demanding commitment. The show will continue to roll out eight episode arcs featuring new cops, criminals, lawyers and laypeople, embroiled in new cases set in different locales. This gives the show a chance to reinvent itself with each new iteration. While the hook of Season 1 has been the contradictory interplay between stars Woody Harrelson and Matthew McConaughey (to say nothing of the, umm, contributions made by Alexandra Daddario) as detectives Martin Hart and Rust Cohle, respectively, the show’s secret weapon is its trumpeting of that old adage: location, location, location. Using huge skies, cane fields, dirt roads, bayou accents and a dash of voodoo, the rural Louisiana setting of Season 1 has been ably employed to transport viewers to a world generally unfamiliar to most of us. But where else can True Detective take us? Where else in America and the world will the combination of climate, landscape and people make for interesting detective stories? I have some suggestions. What settings are left for homicide detective work in America? New York City has been totally covered, CSI has ruined Miami and Florida, Baltimore is untouchable, and The Killing‘s rainy Seattle inspires only anger. Stay strong people, there are still some options. Alaska – Not a completely untouched setting (thanks to Christopher Nolan’s Insomnia, to name one), but still present with a one-of-a-kind atmosphere. We’re talking about an environment with times of either little or total darkness, cold temperatures, sparse population, dogsleds; the whole deal. I realize I didn’t offer up a specific city here which in no way reflects my lack of Alaskan geographical knowledge. Think instead on the starkness of the geography, the chances for harrowing man vs. nature conflict couched in the dynamics of a small town police force. Recall something like The Yiddish Policemen’s Union. There are coastal towns and scary tundra vistas. It would be a setting that draws richly from an under seen side of America. Detroit – To avoid the usual urban settings of New York, Chicago or Los Angeles, why not set the series amidst the urban decay of Detroit? Not to get all Elmore Leonard on you, but it’s a city that has its share of intrigue: from the history of riots, the racial tensions, the crumbling industries. The crime ideas write themselves. But, despite its present day crumbling, Detroit still has a proud cultural history, an element that gives it a unique flavour. Maybe that means creating some old Motown loving cops to walk the old haunts, or casting younger and setting the series in the 8 Mile neck of the urban woods. At the very least, it would probably be cheap to film there. San Francisco – Moving to warmer climates, and inspired by crime stories both past and present, San Fran offers up a melange of ideas. We’re dealing with a city steeped in tech biz money, but also in the throes of mass gentrification; a city awash in social activism from all corners; and the landmarks, think of the landmarks! When a city boasts the world’s most famous prison, you know crime stories are in its blood. It would be easy to suggest a story in the neo-Dirty Harry mould, a tale of a rogue cop and his partner, and yet that could just be the tip of the ice berg. With a city as geopolitically varied as San Francisco, from the prominently gay Castro to both a little Russia AND a little Saigon, the different options for new crime stories are all over the place. You want us to go where?! But let’s say we get tired of America. Why do they always get to have all the homicide fun? These next ideas are just a small sampling of suggestions for True Detective’s expansion into the world. Prague – For those who have been to Prague, you know it as a city with clashing old and new world vibes. It’s a city steeped in history and lore, in looming architecture and haunted literature. If you’ve read Tom McCarthy’s Men in Space, you’ll see a Prague of bizarre artists, charming criminals and crooked law men. Now, picture two cops, maybe an old world former Bloc member of the SNB and a newly promoted beat officer, walking the cobblestoned, disjointed streets of the old city, clanking around on the Metro, having thoughtful discussions on the Charles bridge. The Eastern European intrigue just drips off the screen. Unlike some of the perhaps more excitable places on the continent, a True Detective season set in Prague would be able to continue the show’s slow burning plot structure while doubling down on expressive mood. Rio de Janeiro – Now here’s a setting that could borrow some of the heat from Season 1 and mix it in with a far denser, livelier place. As anyone who has seen Black Orpheus (or, um, Fast Five), Rio boasts both a decadent downtown core and favela slum surroundings. To invoke another film touchstone, a City of God inspired season could toss our detectives into a gang war, underworld upheaval, or some such political intrigue. Rio also gets points for its vibrant culture – music, food, art – that would push the show in bold directions. Oh yeah, and the beautiful people of Brazil would make for good TV too, let’s not forget that. Toronto – Maybe it’s the Canadian tendency to skirt away from sensationalism, but wouldn’t it be something if True Detective came up with a season set in Toronto? Just picture it: we’ve got a varied urban landscape, seedy underworld locations, and just enough local colour to make for a distinct criminal setting. I admit I’m trying to steer away from invoking Rob Ford in this scenario, but think about how tasty that could be? A scandal plagued mayor, a seemingly unconnected murder, the investigation that gradually goes straight to the top. It could involve drugs, housing projects, dogged members of the press, an overwhelmed police force, parking lot liaisons, a shady politically connected family. I don’t know how we ended up here, but I’m glad we made it. Have any more suggestions? Maybe a rural American setting? Something more Fargo-esque? An Asian triad case? Some Middle East army police struggle? A mystery Down Under? The ideas could theoretically be endless. Kudos to Nic Pizzolatto and True Detective for finding something new in TV form and function.